To bring more awareness to Palestinian children about their rights, specifically when it comes to school violence, violence faced at checkpoints, and the rights of children with disabilities regarding the accessibility to school and education is the aim of ´´Children´s voices heard through art´´, a project led by DCI Palestine in partnership with Yafa cultural center and Al Harah theatre. The project started in March and ended in September 2016, during this period, many activities took place, such as training sessions on child rights and child rights violations and how to report these violations when they happen at school or anywhere else. Children protection teams were formed in 11 governorates in the West Bank, these teams received two extensive workshops about child rights, communication skills, and art and innovation practices. In the course of the project, a theatrical production about school violence was produced under the supervision of Al Harah Theatre, this production was performed in a marginalized village called ´´Heta´´ during the Palestinian child week that took place in different cities in the West Bank in April, the program also included art workshops, puppet shows, dance performances, as well as psychological support and awareness meeting activities. During the course of the project, 18 young teenagers from the protection teams, alongside with 118 adults from different associations, participated in the production of a final publication, about the types of violence that children in Palestine face, whether at school, at home or in the street. This report was based on a series of interviews done by the children that participated, with younger children that were exposed to this kind of violation of rights. The end result shows that Palestinian children are facing violence at school, and in most of their cases interviewed, the children had faced some kind of violations from the Israeli army side. 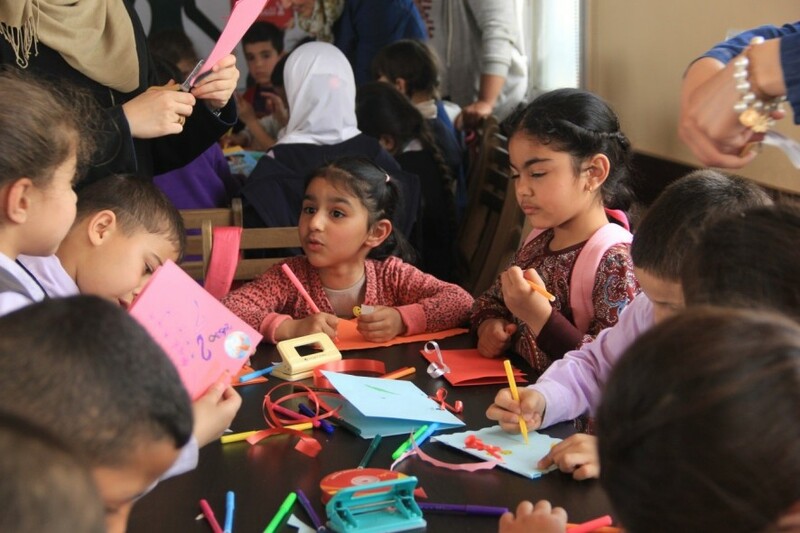 By participating in this project, children had the possibility to share their stories and experiences, to express their opinion about what needs to be done, and mostly to express themselves and their feelings through art. Most importantly, their voice was heard, through the election of child councils in each governorate, and these child councils met with decision makers, governors, and actors from the civil society and from various associations and expressed their needs and priorities.